The last time David Longstreth checked in with us by way of 2017’s self-titled Dirty Projectors LP, he was dealing with heartbreak and a new affinity for mutating his vocals with low tones of electricity. Hear his depression in the opening line of track one, “Keep Your Name:” “I don’t know why you abandoned me / you were my soul and my partner.” Longstreth changed his vocals enough so the timbre sounds so unnatural it’s barely human, setting the tone for an unsettling record. It’s hard to imagine the LP Dirty Projectors directed to anyone but Amber Coffman, Dirty Projectors’ former guitarist and co-lead singer with Longstreth. Coffman was also Longstreth’s romantic partner and her absence on Dirty Projectors is so noticeable only because Longstreth reminds us of it every chance he gets. It’s a slow, churning album full of loss, confusion, and frustrated loneliness. “Up In Hudson” is a chronicle of how they met, moved in together, and spent time traveling from their home and the band’s in Brooklyn up to Hudson, NY. “Up In Hudson” and all of Dirty Projectors is painful to listen to because Longstreth is raw on every track, swooning and chirping between synths, the Rhodes piano, a Wurlitzer, an organ, and horns pulsing between each breath. Which is exactly how Lamp Lit Prose begins—with a breath. It’s the sound of Longstreth preparing himself to start fresh on a new idea. He’s ready to move forward. Dirty Projectors’ eighth studio record Lamp Lit Prose finds Longstreth returning to the form of earlier Projectors records. It feeds into the charming dissonant vocals that make their sound so particular. At every chance he gets, Longstreth shifts the pattern your brain was trained to follow when listening to a pop song. It’s hard to separate verses, choruses, and bridges from one another in these tracks because they’re stacked around each other to make a constant changing landscape. Pull one movement, instrument, or handclap away from a song and it will all fall down. Nothing could be further from the Meta truth. The first single from Lamp Lit Prose is “Break-Thru” a song with bursts, fits, and starts all sandwiched between the turning filter of a synthesizer constantly opening and closing. There’s a tight, sharp high-hat, and a guitar working note-by-note through the phrase of the song. It’s an upbeat splash of cold water on your face, far from Longstreth’s previous hums of heartbreak. Dirty Projectors’ music is, at times, unnerving. The connective tissue of their music is constantly stretching. The blaring horn section on “I Feel Energy” followed by the bend of wire strings tucks the song into The Projectors’ feel. Then it’s an electronic drum click reminiscent of the classic disco sound not far from Michael Jackson’s Off The Wall. Longstreth twists and turns his voice into neat designs and elongated gasps, constantly changing color like a chameleon. The complexity of his voice is what has always set Dirty Projectors apart, and this time he adds collaborators from many backgrounds: HAIM show up on “That’s a Lifestyle,” “I Feel Energy” features Amber Mark’s bedroom soul pop vocals, Syd from The Internet cameos on “Right Now,” and Longstreth harmonizes with Fleet Foxes’ Robin Pecknold and Vampire Weekend’s Rostam Batmanglij on later track “You’re The One.” Each guest is their own brand of pop performer, bringing a shine to polish Longstreth’s earthy tones. Every musician in Dirty Projectors specializes in different string instruments and vocal atmospheres, all with a percussive nature. The group of Projectors on Lamp Lit Prose—Nat Baldwin, Mike Daniel Johnson, Maia Friedman, Felicia Douglass, and Kristin Slipp—move around each other seamlessly. Each featured artist—and there’s more like Dear Nora and Empress Of—are neon highlights. Lamp Lit Prose is a short ten-track LP reassuring Dirty Projectors fans the band can still hit their marks. “Blue Bird” kicks off with deep brass, “What Is The Time” opens with the ticking of gears winding up to deliver a piano tinkering on all the upbeats, and “Zombie Conqueror” is several guitars all woven together. Nothing is busier than a Dirty Projectors record. Each song and LP is taken a step further with odd repetitions, build-ups, and breakdowns. Longstreth has a way with making huge sounds sound crowded yet clear. And the small squeaks are even bigger splashes of color. 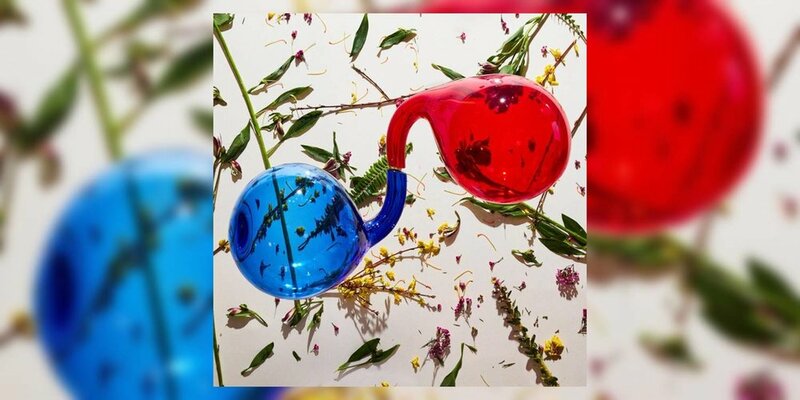 Lamp Lit Prose is comforting for fans looking to remind themselves of why they love Dirty Projectors: the band is a mold of music that can and will take any shape possible. Album closer “I Feel It All” is just that: a soft, jazzy blend of whispers and buzz. It’s a tumble of sounds fumbling together to create another Dirty Projector signature sound: one you’ve never heard before and probably won’t ever hear again.